"NEST has placed quality management at the core of its strategy since the beginning. 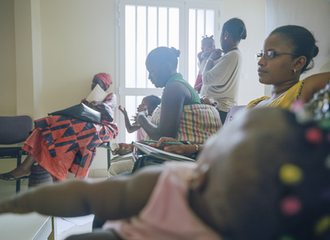 This certification is the result of 7 years of hard work setting up and operating two medical centers in Dakar. Since 2011 we have deployed a lot of energy and great team efforts to master all the processes. Quality managment system and continuous improvment are part of our DNA. The stakes are high: it is about ensuring the safety and wellness of our patients but also about building trust with our partners." saysKhadidiatou Nakoulima, founder and CEO of NEST.